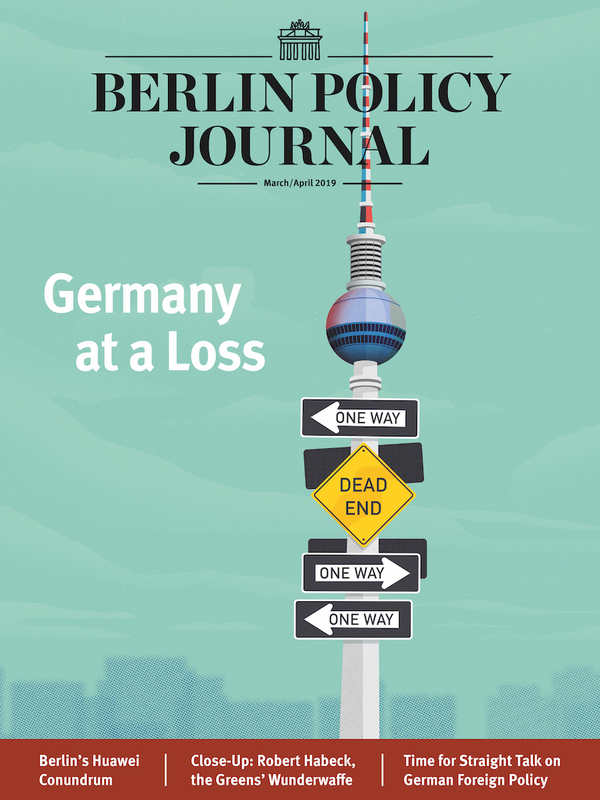 Home Berlin Policy Journal Words Don’t Come Easy: GroKo, Jamaika, & Co.
Angela Merkel is likely to win, but whom will she govern with? All political colors, synonyms, and acronyms will remain in play in Berlin until a new coalition emerges. When polls close in Germany’s federal election later this month, outsiders will need the patience of Job, a color-coded chart, and a well-thumbed acronym lexicon to survive the months until Christmas. Why? Because, as German political pundits never tire of telling us, “Nach der Wahl ist vor der Wahl”: after the election is before the election. When 61 million German voters are called to cast their votes on September 24, it is unlikely that one party will emerge with an absolute majority. After polls close at 6 pm, coalition horse-trading will begin, a ritualized veil dance of jargon, colors, and acronyms that is not for the faint-hearted. For instance, during eight of her twelve years in power, Angela Merkel’s Christian Democratic Union (CDU) has been the queen of the GroKo – a grand coalition or “Große Koalition”, with the center-left Social Democrats (SPD). The word first appeared in DIE ZEIT weekly in 1969, in an article about post-war Germany’s first such alliance. After four decades in hibernation, GroKo was dusted off as a handy acronym in the Twitter age and voted Germany’s word of the year 2013 – when Merkel agreed her second such arrangement. After two spins on the Berlin merry-go-round since 2005, however, Berlin’s GroKo seems a no-go for the next term. Merkel’s CDU are nearing their last election result of 41 percent while the SPD is in a sorry state. Treading water at a disastrous 24 percent in polls, SPD leader Martin Schulz is trapped in a political Groundhog Day: the third SPD man who has failed to land a blow on his unideological rival. So if there’s no GroKo, what then? Please reach for your color charts. As in many countries, each German political party has traditional colors. 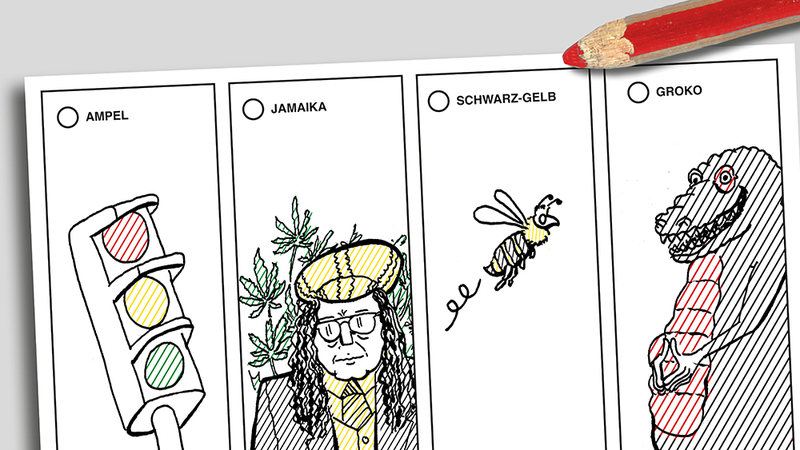 And the most likely GroKo alternative in Berlin is Schwarz-Gelb – Black-Yellow. More commonly associated with German soccer club Borussia Dortmund or a bumblebee (hence some English commentators talk of a “bumblebee coalition”), the colors are also political: black for Merkel’s CDU and yellow for the liberal Free Democrats (FDP). Though a small junior partner, the FDP managed to carry the weighty Helmut Kohl in power for 16 years until 1998. It got another crack at power with Merkel in 2009 but stumbled in office, its leader Guido Westerwelle dismissed by Bavarian coalition allies as a Leichtmatrose or “lightweight” – ready to be blown over by a strong political gale. Blown onto the rocks outside the Bundestag in 2013, the good ship FPD has been repaired and refloated by a new captain, Christian Lindner. He is promising a return to traditional pro-business policies on those two certainties of politics: debt and taxes. But if, as is likely, more parties board the next Bundestag – from four to six, according to polls – Merkel may need a three-way coalition for a majority. A possible constellation is the so-called “Jamaika-Option,” mirroring the island’s black, yellow, and green flag. Bringing into office the Green Party – her CDU’s one-time mortal enemy – would be a novelty for Merkel. And the Jamaika-Option has some charm, if it comes to pass. The term dates from the 1980s but came into popular use after the 2005 election as a potential alternative to Merkel’s first grand coalition. A final coalition term to keep in mind is the “Ampel” or traffic light. That is a three-way coalition lead by the SPD (red), with the Liberals (yellow) and the Greens. Sometimes referred to as the “Senegal” option, the SPD-FDP-Green combination has been popular in federal states and was on the table for two minutes after the 2009 federal election. Then Guido Westerwelle – rising above the Leichtmatrose slight – switched off the “Ampel” light and got into bed with Merkel. So now you know your GroKo, Jamaica, Ampel, and Schwarz-Gelb options, which is most likely after the election? The easy answer: it’s difficult to say. 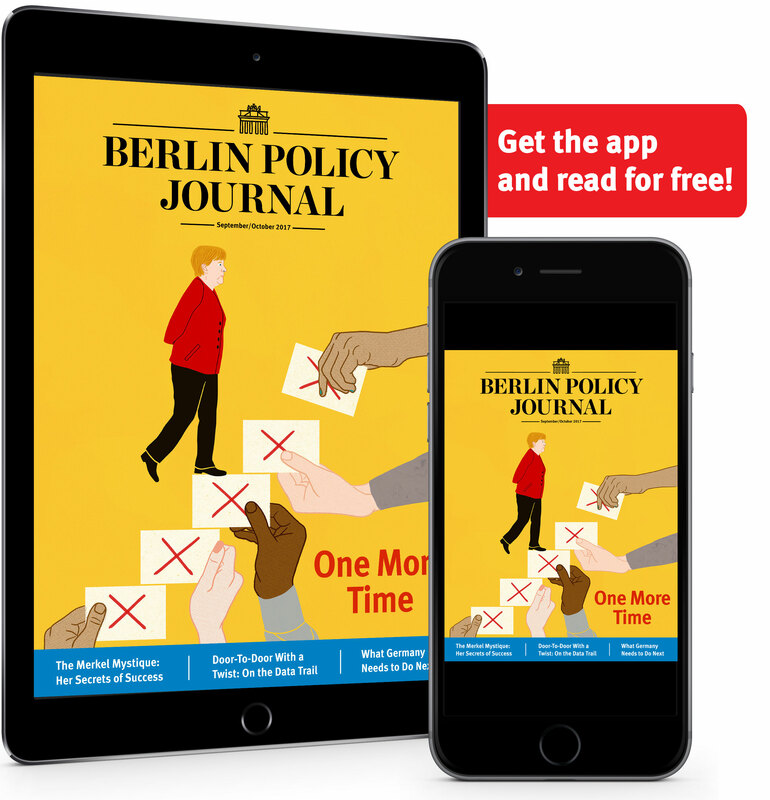 First, the arrival of a sixth party into the Bundestag – the far-right Alternative für Deutschland – will cause a radical reworking of coalition arithmetic. A second reason is the most complicated word in the German political lexicon: Überhangmandat. Translated directly as “excess mandate,” this is a peculiarity arising from Germany’s two-vote system. With their first vote, Germans pick a direct constituency candidate; with their second vote they choose a party, which then divides up seats to MPs on its own list. The second vote determines how many seats each party gets in the new Bundestag. But an MP elected via the first, direct vote is entitled to take their seat regardless of whether or not the party’s second vote share entitles them to it. The outgoing parliament had four such seats, all for the CDU, but more additional seats are likely in the next Bundestag because of new procedures to compensate other parties. Complicated just got abstruse. These complications mean that it takes time after the election for anything to happen. Immediately after the poll, when post-election denial gives way to Realpolitik, parties abandon their pre-election coalition promises and get down to the hard-to-get phase. Referred to in political circles as “Sondierungsgespräche” or exploratory talks, this is a complicated mating ritual only seen in the captivity of the Reichstag building every four years. As no one knows how many seats will be in the new Bundestag, all political colors, synonyms, and acronyms will remain in play in Berlin until a new coalition emerges. And judging by the last election, after the September 24 poll, there won’t be new working coalition until the advent lights are up. Just remember: a German government is for four years, not just for Christmas.